I’m glad I bought a copy of Max Siollun’s Soldiers of Fortune. Many might say it merely rehashes a lot of information that was already in the public domain but I would strongly disagree. Even if that assertion was true, a compendium of all the information from a pivotal point in the nation’s history can never be a bad thing. My personal repertoire of the events that have shaped our history has never been more than superficial. No nuggets of particular insight, unless I was chanced to be in the company of someone “in the know”. Soldiers of Fortune puts into perspective many things I was either too young or too unsavvy to understand at the time they happened. 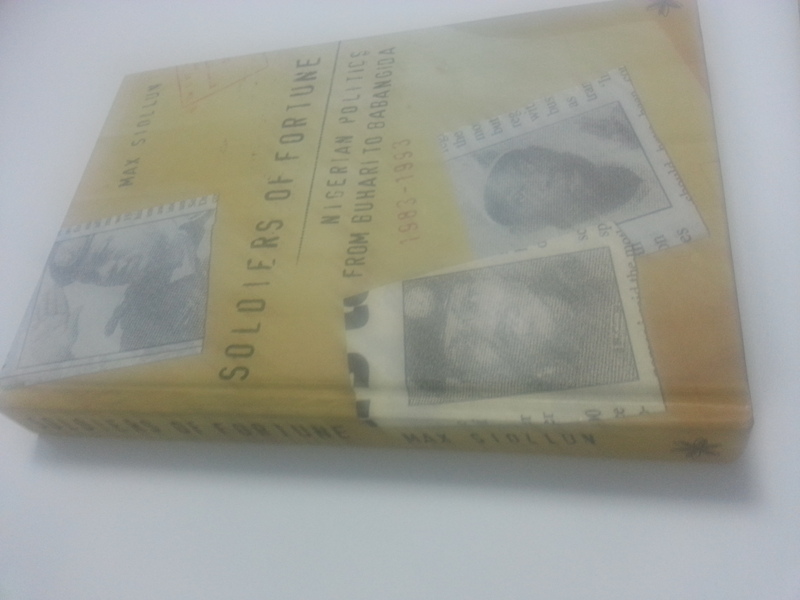 The book’s preface sets the context for the history it recounts, with a summary of transitions from independence to the civil war to the overthrow of the Shagari government, shortly after its “re-election”. Relying on a wide range of sources, from ‘hagiographic autobiographies’ to interviews given by the various actors, the book then surgically considers the events leading up to each intervention by the military, including the unsuccessful ones. What surprised me most through the book? For one, some coups were instigated by civilians, one of whom became a martyr for democracy, another a perennial applicant for a gubernatorial position in the Niger Delta. Secondly, there is absolutely nothing new under the sun, especially when it comes to government proposals. The proposed “entertainment tax” in Lagos State was deployed by the Military Governor of Ogun State in the early 80s. A single 6-year term for executive office holders had been mooted (and rejected by the government of the day) since 1990 or thereabouts. Thirdly, the June 12 intrigues will surprise a few readers, although I must admit, I found the portrayal of IBB as both orchestrator and victim of the annulment somewhat confusing. It also seems history has been unkind to Prof. Nwosu, chairperson of the electoral commission that organised the elections. I find a quote attributed to our Senate President particularly interesting. On a personal note, I was at secondary school with the son of one of the officers executed for the “failed” 1986 coup. Siollun actually singles out the officer for being implausibly linked to the plot, having no soldiers or weaponry under his command. I remember the son cursing out Babangida on a few occasions. Still on 1986, the tragic irony of the case of the officer who was executed for not reporting the rumours he’d heard was very sad. This man had informed General Buhari about rumours of a coup in 1983, not knowing that Buhari himself was at the centre of the plot. Buhari had him arrested and locked up for several months. When he got wind of the Orkar coup, he rightly(?) decided to keep mum and paid for it with his life. In addition to his meticulous reconstruction of events, Siollun frequently provides analysis to explain rationale and sometimes fill in the gaps that the dramatis personae have left in their accounts. If there are any lessons to be learnt from this book, it is that all incisive criticism of today’s government is a good thing. Not rabid, senseless expulsion of hot air, but line-by-line examination of government policy. We must also shelve blind nationalism and vainglorious pride – IBB was saluted for rejecting the IMFs conditions but imposed even more stringent conditions than the IMF had requested anyway. So, to all those who keep getting the word “activist” spat at them as if the appellation were some deadly plague, keep the pressure on. Additionally, it is clear that a whole generation will pass before the country’s political landscape is devoid of (de)militarised politicians – many of the beneficiaries of the system from 1983 to 1993 are alive and well; and loaded. Finally, until the Northern part of the country experiences real economic development, some of the thinking of its elite as reported in Soldiers of Fortune, should that line of thought still be prevalent, means that fiscal federalism, devolution of power from the centre and virtually almost all other constitutional reform as it regards the political status quo are an extremely long way away from happening. My one grouse with the book is its use of endnotes instead of footnotes. I find endnotes impossible to use but this is a person foible and should not detract from the quality of Siollun’s work.